On 24 January, Gill Furniss, Labour MP for Sheffield, Brightside and Hillsborough and Shadow Minister for Steel, Consumer Protection and Postal Services, put down two written parliamentary questions. They follow the written question put down by Lord Arbuthnot in the House of Lords on 19 November. 1: "To ask the Secretary of State for Business, Energy and Industrial Strategy, what recent assessment he has made of the effectiveness of the Post Offices' [sic] Horizon IT system; and if he will make a statement." 2: "To ask the Secretary of State for Business, Energy and Industrial Strategy, how many prosecutions the Post Office has made against Sub Post Masters over the Post Offices IT Horizon system; and if he will make a statement." "While the Government sets the strategic direction for the Post Office, it allows the company the commercial freedom to deliver its strategy and operate as an independent business. The Horizon IT system and management of the branch network are operational matters for Post Office Limited. Paula Vennells, the Group Chief Executive of Post Office Limited, will write to the hon. Member on these matters. A copy of her reply will be placed in the Libraries of the House." 1: What recent assessment of the effectiveness of Horizon has been made. 2: How many prosecutions have been made against Subpostmasters over the Horizon system. I can imagine the first answer will be a load of blee about continuous assessment unless there was a specific reason for framing the question in that way. The second answer might be more interesting. I think from memory the Post Office say they don't hold records going back to the advent of Horizon. 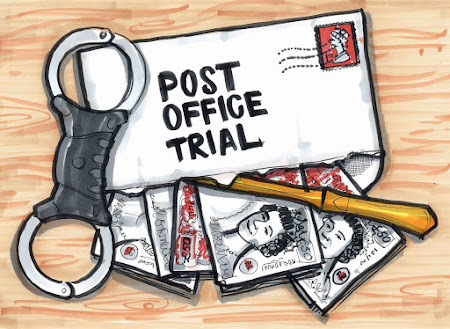 Many times whilst following this story I've been asked by other journalists about the number of annual prosecutions of Subpostmasters in the (say) ten years leading up to the introduction of Horizon and the ten years after, but FOI requests have not produced the answer. Let's see if a shadow minister can find out. My thanks to Mike for alerting me to the above questions being asked! There is a case management conference taking place at the High Court Rolls Building tomorrow. I will be in attendance. During this conference, the date on which the Common Issues trial judgment will be handed down is going to be "addressed". Secret email subscribers will get the usual full service, but there will be plenty to read and see on this blog and on twitter. Please consider donating via the website PayPal tip jar if you can. The only reason I can afford to report from court is because of the support of people who have donated. Thank you to those who already have.